With only a single week of tournaments to go until the Season Two Invitation begins on January 28th, tournament players are in a fever pitch as they try their hardest to secure one of the final invites still available. This article will likely fan those flames even higher, as it examines players who have already qualified, those who are probably safe, and those on the bubble. For information about the Season Two Invitational and Last Chance Qualifier, click here. It takes a pretty good run to successfully come top two in a tournament, especially as the average tournament size approaches 50 plus players. However, players are rewarded with a single Invitational Point for each match win they get, and towards the end of the season the competition is ferocious. It was previously stated that only fourteen players are invited based on Invitational Points, but that is not strictly true. The top fourteen players will definitely be invited, but players who are unable to attend the S2I will be replaced by players from the Invitational Points. Similarly, if a player wins multiple Invitations (as Ilyak1986 did, with both a Winner’s and a Finalist’s invite) an additional spot opens up. These are Second Wave Invitations, and have no solid numbers – it’s entirely based on who can attend the tournament. As such, you definitely want to shoot for a guaranteed invitation, but even if you can’t quite reach it, getting a high enough point total might earn you a Second Wave Invitation. First, let’s take a look at the top fifteen Invitational Points players who have not already qualified. The highest possible amount of points a player can earn in a single weekly event and NOT win an invitation outright is 8 points (7 for the swiss rounds, 1 for a win in top 8, lose in top 4). An average “expected result” at a tournament of this size is about 3 points, with players who attend going 2-4, 3-3, or 4-2. That means that anyone within 3 points of the cutoff could reasonably make it – or get passed over! What if I don’t make it on points? Invitational points aren’t for everyone. If you’re just starting out in tournament play, more than 8 points below the line, or have to miss next week, it’s very unlikely that you’ll be able to qualify on points. However, do not despair! There is one final tournament you can play in: the Last Chance Qualifier! All players who have already received an invite are barred from playing in the LCQ – there’s nothing they can earn there. Anyone can enter, with one goal in mind – top 4. The top four players from this tournament receive the final four invites to the Season Two Invitational, making it your last chance to guarantee an invite! You’ve got nothing to lose and everything to gain, so go out there and do your best! A full list of participants for the Season Two Invitational will be made available on January 27th, the day before the tournament. 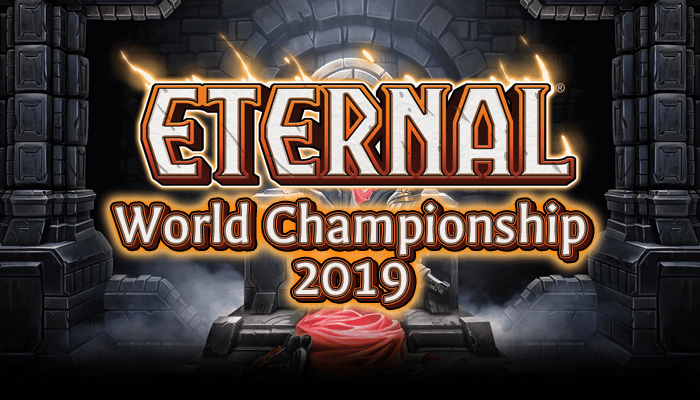 If you’re unfortunately not one of the participants, we urge you to join us in cheering on the top tournament players as they battle it out in a huge two-day tournament, streamed live on twitch.tv/arengeeeternal. If you have any questions about qualifying for the Season Two Invitational, please don’t hesitate to contact us! Next Post: Going Deep – Keep or Redraw?